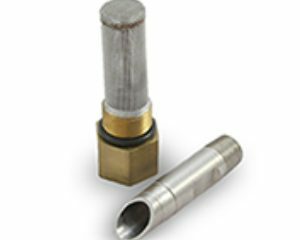 Spray Nozzle Engineering Ruby shower nozzles are a quality spray nozzle in a low profile configuration designed to be retained in a weld on housing via a locknut and gasket system. 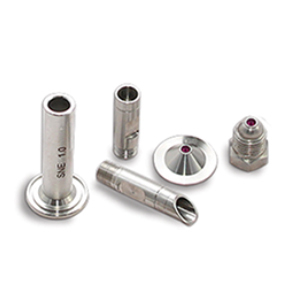 Featuring patented Orifice Insert System‚ on all ruby shower nozzles. 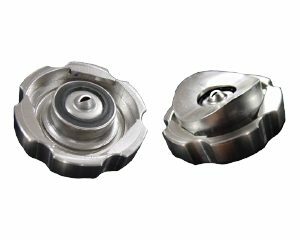 This mechanical sealing method DOES NOT rely on outdated adhesive anchors; reducing risk of premature orifice dislodgement as a result of water hammer, line shock or cleaning operations. 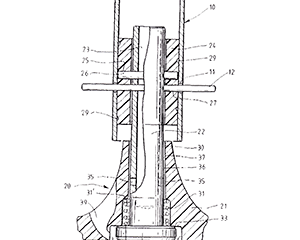 The nozzle orifice protrudes into the spray header or delivery pipe, thus reducing the potential for blockage. 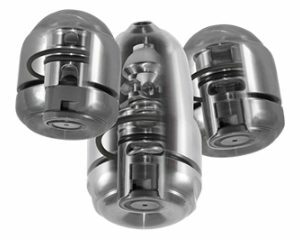 When used in conjunction with a self cleaning shower head or manifold, the risk of nozzle blockage is further reduced. 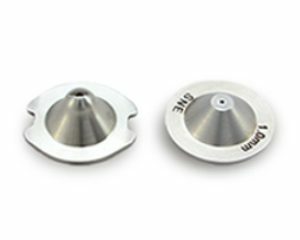 The Ruby shower nozzle series can be used to replace existing shower discs or as a complete system on ‘new’ spray manifolds. 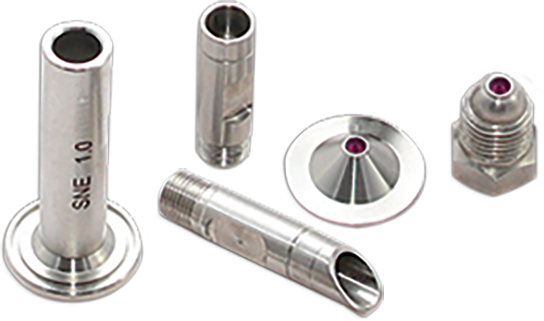 Ruby Needle Jet Shower nozzles are available in a large range of flow rates. 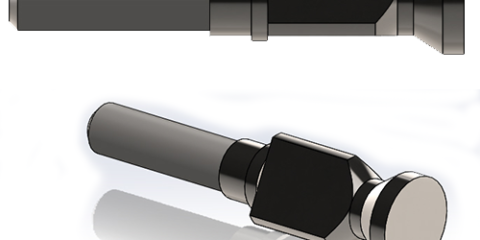 Weld on sockets and retaining nuts allow the entire Ruby Needle Jet assemblies to be used for new installations. 316SS with quality Ruby orifice insert. Weld on socket and retaining nut standard in stainless steel. Gasket materials available in nitrile, viton and fibre.